Analysts have been calling it for quite some time, but with signs like these how could you not. RIM's stock plummeted 77% in 2011 and the company's smartphones kept losing ground to Apple's iPhone and the army of Android devices. Meanwhile the launch of the Playbook tablet was a complete failure. On the other hand, Amazon using essentially the same hardware quickly rose a few months later to become the iPad's #1 competitor. With that kind of increasing pressure on their hands, Jim Balsillie and Mike Lazaridis (co-founder) have stepped down from their co-CEO positions. The company also kept dual-COOs. Thorsten Heins which served one such position will become the new CEO. Barbara Stymiest who served as a board member and was though to become CEO will instead occupy the chairwoman's seat. Along with the announcement, RIM reinforced its plans to launch a new smartphone based on the new Blackberry 10 operating system before the end of the year. 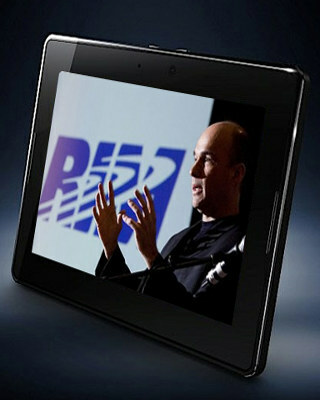 A second-gen Playbook tablet, also set to use the company's upcoming platform is the second major device RIM is working on for 2012. There's also been speculation that Blackberry 10 OS could be opened up and made available for third parties to license. Just in 2009 Research in Motion had received honors from Fortune as the fastest growing company in the world. The company has not been losing money in recent times, and they still appear to have a stronghold in certain markets (outside of the US). It will be interesting to see how the company reacts and if it makes any difference in consumers' minds. Also if there's enough space for multiple platforms to co-exist in today's mobile market which is characterized by the closed ecosystems touted by the different major players.